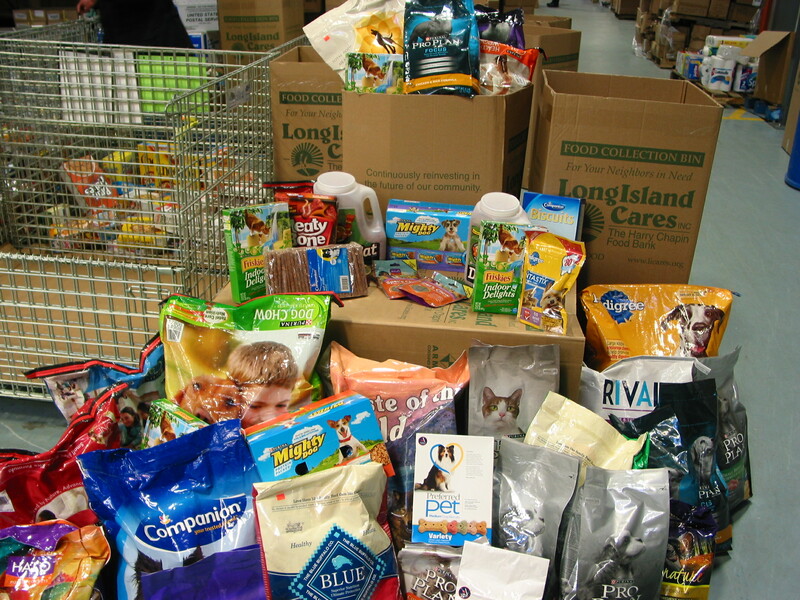 On Thursday, December 19, 2013 Long Island Pet Professionals hosted their 4th Annual Holiday Pawty and Pet Food Drive to benefit Long Island Cares. Baxter’s Pet Food Pantry which is operated by Long Island Cares has pet food pantries in three locations in Suffolk County. The guests attending the holiday party were asked to bring a pet food donation and were very generous in that the total amount collected for the event was 530 pounds of pet food! the Animal Relief Fund Inc. (ARF), makes free pet food supplied by ARF and many pet food corporations available to pet-owning families in need in Nassau and Suffolk Counties, New York. Initiated as a result of 2009 media coverage of families putting their pets up for adoption as a result of not being able to afford pet food, veterinary care and other services, the Pet Pantry also offers toys, pet clothes and other pet supplies. Free pet food is available to pet owners through many of our local member agency food pantries,” from the Long Island Cares website, read more about their program here. 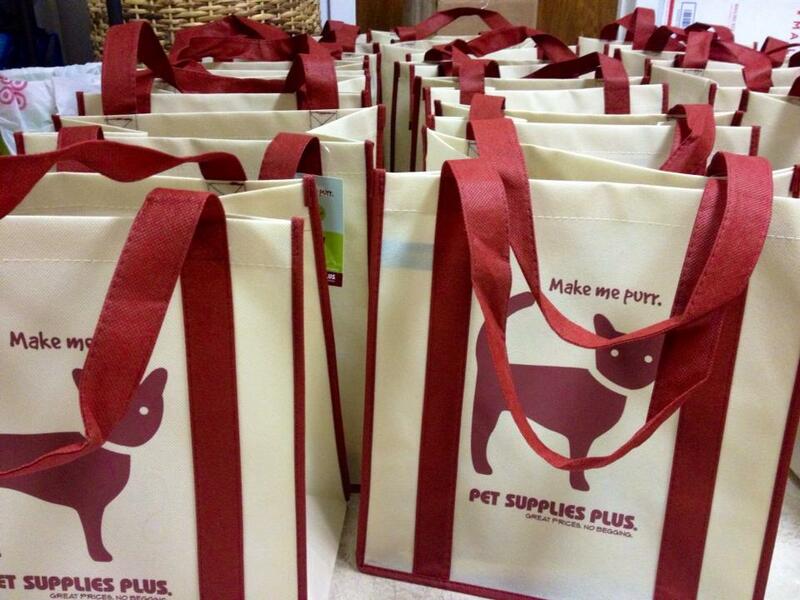 In addition to the pet food donation, the fun filled evening was also sponsored in part by Pet Supplies Plus who also supplied the beautiful, earth friendly tote bags in which were filled with swag from the following contributors! 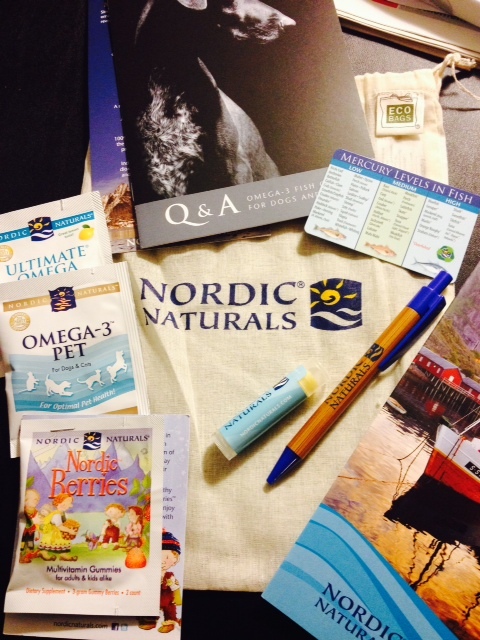 Nordic Naturals uses the same quality standards and the same oils to manufacture both their human and pet products. The result is Norwegian omega-3 fish oils of industry-leading purity and freshness for your dogs and cats. 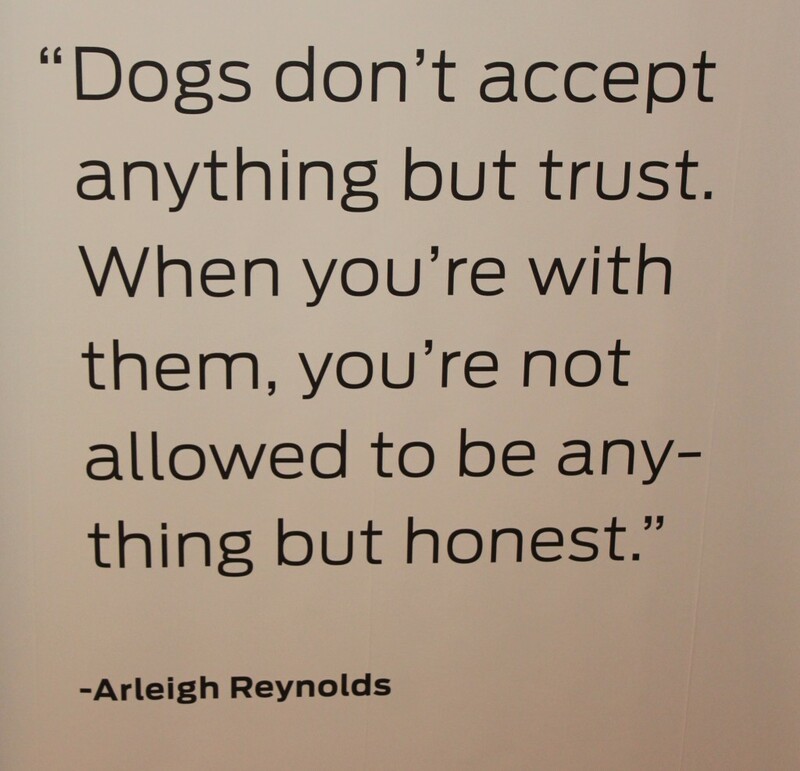 See more about their quality pet and human products here. 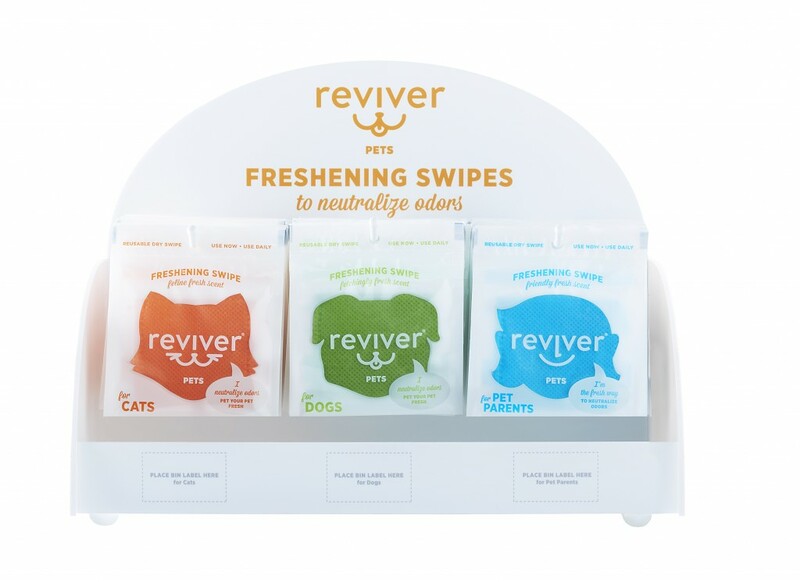 Reviver Pets is a daily, reusable freshening swipe for you and your pet that empowers you to instantly eliminate unwanted smells that cling to clothes, fur, paws and hair. It’s an effective, convenient way to bring fresh confidence with you and your pet wherever and whenever you need it. Check out Reviver Pets today — you and your pet deserve to live the fresh life. 100% non-toxic and pet safe (according the company), and made in the USA! Another great item in the goody bags were these adorable poop pick up bags, perfectly themed for the holidays by Think Dog by Delca Corporation! They also make other pet products like dog treats, dog toys and other great pet supplies. You have to check out their website here. 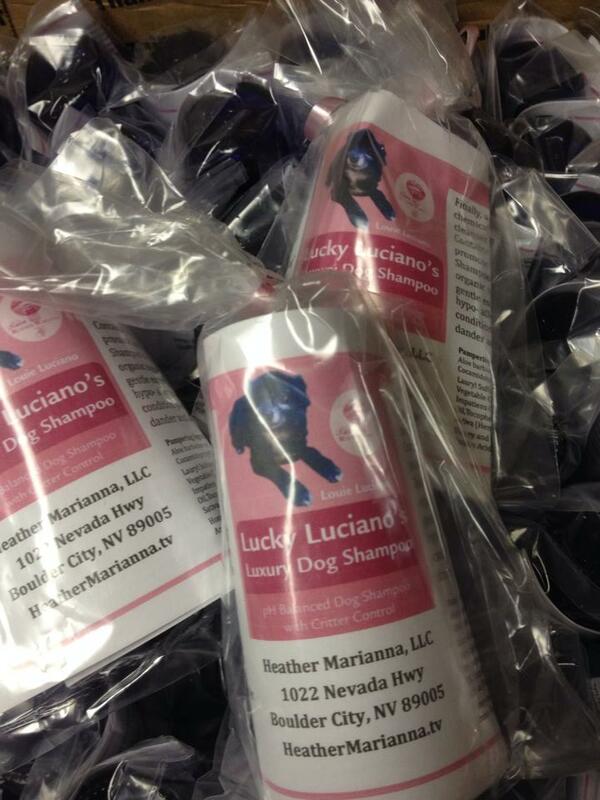 Heather Marianna sent us these beautiful glass bottle samples of her luxurious Lucky Luciano’s Dog Shampoo. An all natural pet shampoo with no chemicals and will have your pup smelling and feeling wonderful. Check out her website here. Thanks to Bettie Hamilton and Margaret Tumino-Mills Halo, Purely for Pets and Maryflorence Brennan of Canine Company for putting items in the goody bags at the pawty too! And to Conspicuous Dog Lover for the adorable stickers. You can see more pictures of the event here. Happy Holidays and be sure to check out the pet products above! 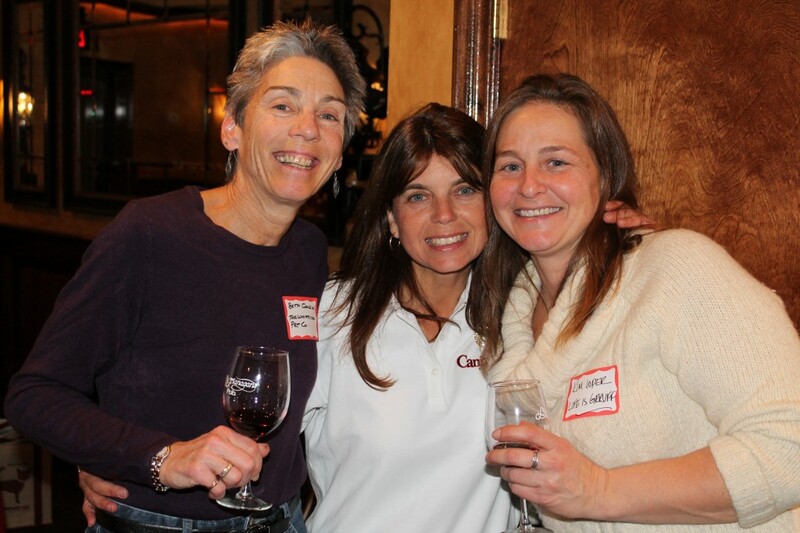 Pet professionals Beth Goldin of At Your Service LI, Maryflorence Brennan of Canine Company and Kim Loper of Life is Grruff celebrating at the Holiday Pawty! Pawliday shopping ideas to help you shop for the furry friends and their owners in your life! It’s here! The crazy hustle and bustle of the holiday shopping season! Our pet holiday shopping guide is geared to help you shop for the pet lover in your life, your own pets and the pet professional that helps you throughout the year. Don’t forget about the dog groomer, pet sitter, trainer, doggie day care people who care for your dog as if they were their own. 2. After you have your dog smelling and looking good, you might want to capture that moment by a professional Pet Photographer. 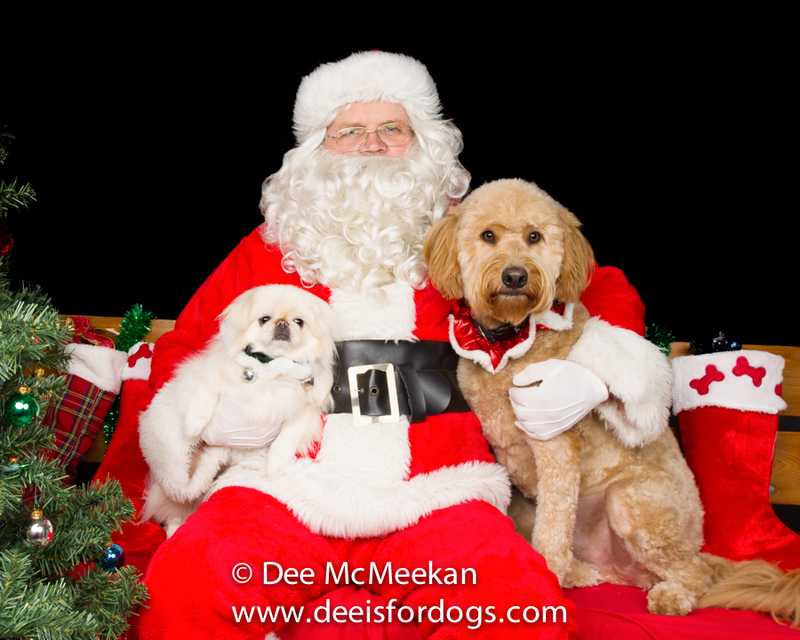 These days their are pet photographers all over the country, and here on Long Island you can contact Dee is for Dogs and see when she has photo’s with Santa set up or book a private session. This would make for a great gift for the pet owner in your life that make not be great with the camera – getting a professional pet photo gift certificate! Click here to find more pet photographers in the NY/LI area. 3. Another way you can show you care for your pet during the holidays is hire a pet sitter and dog walker to help walk your dog. We all get busy and maybe Fido is not getting as much exercise as normal. There are professional pet sitters everywhere these days, but be sure to interview them, get references and do a meet and greet with your dog to make sure your dog is comfortable with them. If you are in the Westbury, Carle Place or Jericho areas of New York contact Beatriz Lewis of Wiggily-Waggily, she will do a no obligation meet and greet. For more pet sitters across NY/LI areas click here. Also you should book soon as pet sitters get really booked this time of year. 4. All that walking is going to make your dog hungry! For the pet owner who is looking into cooking healthy and nutritious meals for their pets – and do it themselves at home, a book written by Christine Filardi a certified holistic chef for animals, this book is the perfect gift. 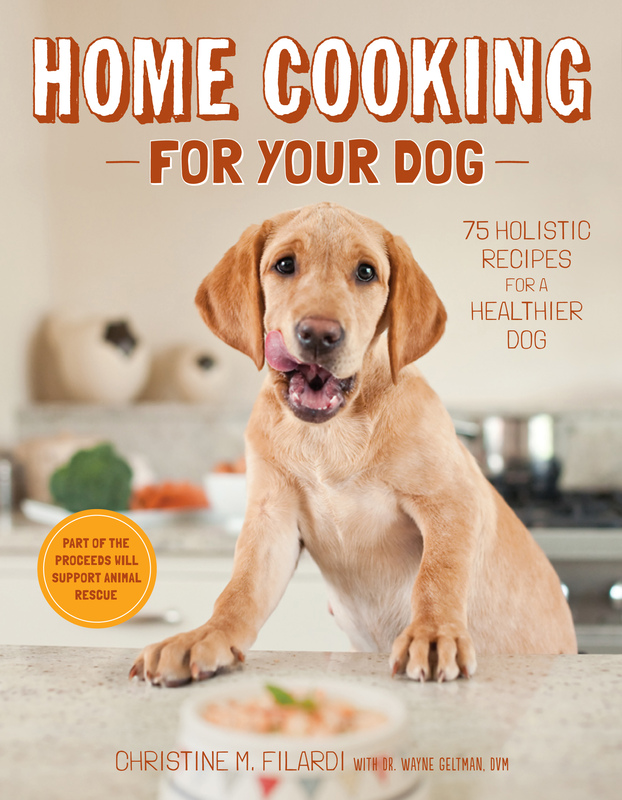 Home Cooking For Your Dog has recipes that you can make at home and shop for the ingredients in your local grocery store. It is beautifully illustrated and wonderful pictures of dogs in it as well. 5. 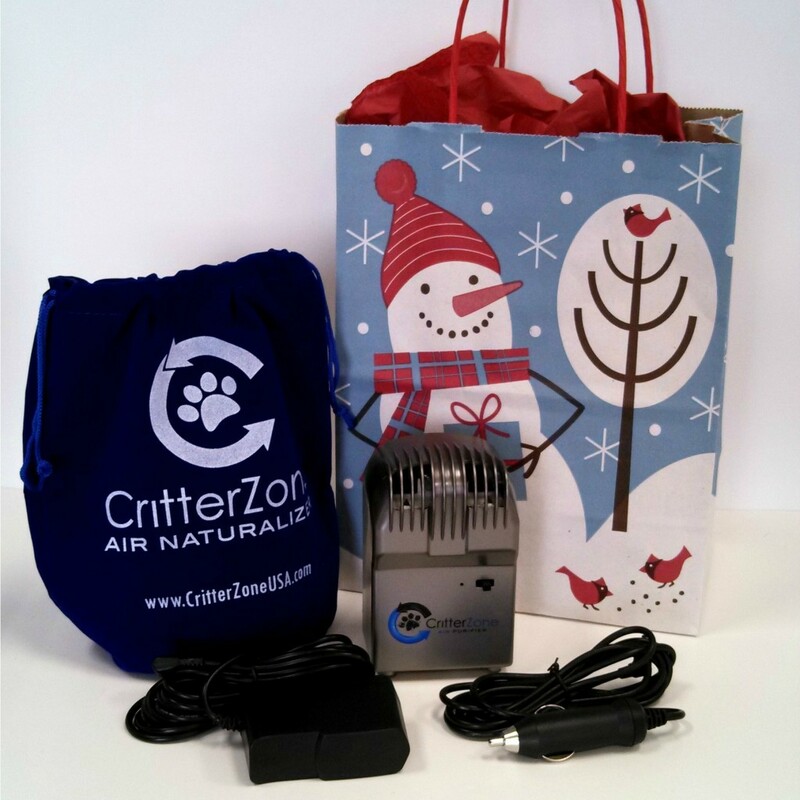 Another product that any pet owner would love is a CritterZoneUSA Air Naturalizer – and for the holiday’s they have special travel pack available. I have this product and it works, in small spaces larger rooms, it gets rid of that stinky puppy smell (and any bad smell for that matter) rather quickly. They have a special happening to, use code LIPP13 when you check out and save $10.00 on the travel pack unit priced at $109.95. I love the unit for my car, since my dog travels a lot in the car with me – it really helps get rid of that dog smell. 6. Looking for that perfect holiday card to send out? 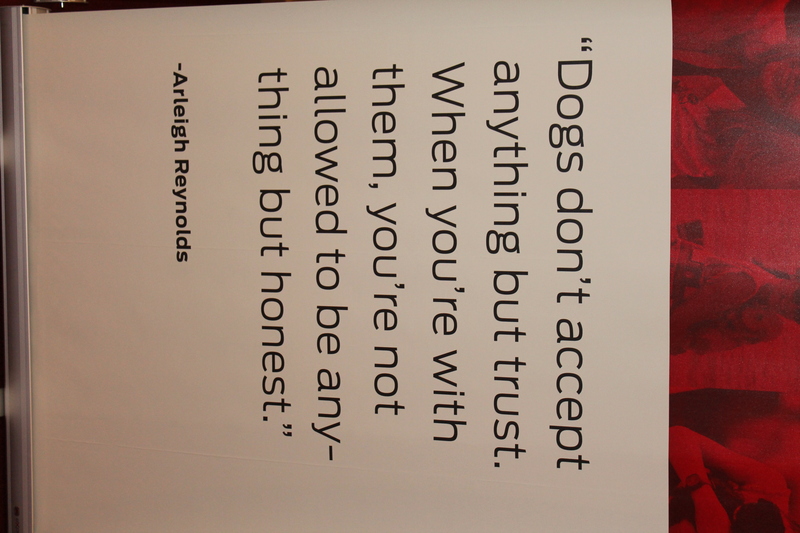 Have your favorite breed in mind? 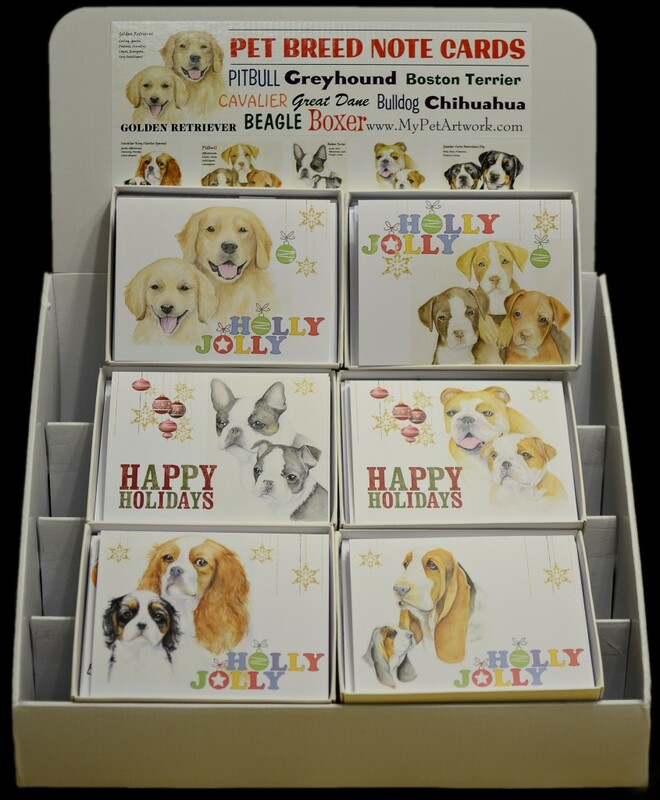 Then you want to check out these holiday cards done by Beth Weiner Lipson of MyPetArtWork.com. A lovely way to give a personalized gift to the pit bull, bulldog or beagle afficiando in your life. The are various breeds you can choose from, holiday cards, love cards, mugs, t-shirts and more. Beth can also do a pet portrait from your picture – the ultimate holiday or birthday gift. 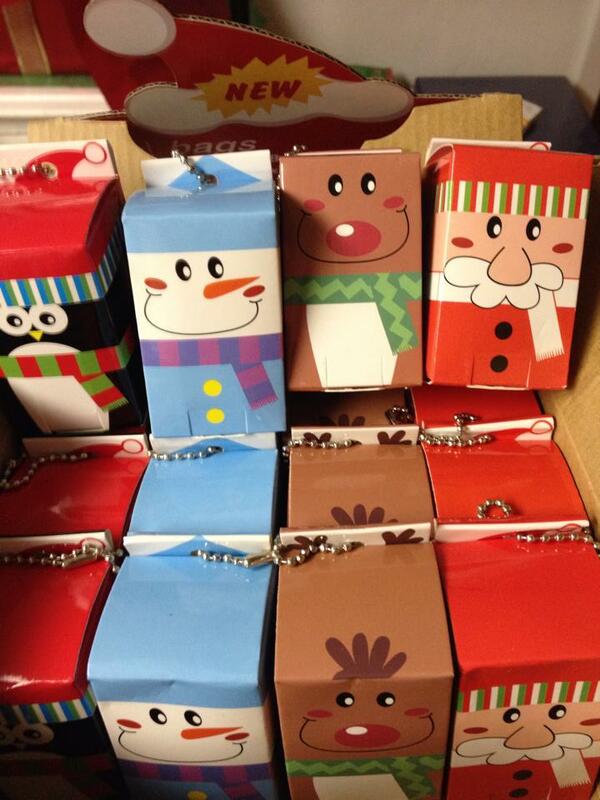 You can see more images of holiday items here. 7. 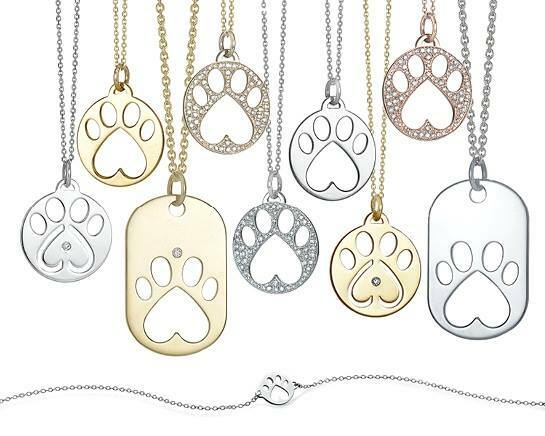 A beautifully crafted piece of jewerly always makes anyone smile, and if it has diamonds and a paw print in it – even better! Our Paws for Cause is a non-profit rescue group that does incredible work and was started by Candy Udell of London Jewelers. You can shop their line of necklaces, bracelets, earrings and dog tags and a portion of each sale will be donated to help build and support model humane no-kill shelters providing rescue spay and neuter services. Its a beautiful way to show someone you care and help a great mission at the same time. 8. Have an active dog owner who likes to go on hikes and outings with their pup? A great gift you can give is buy a pre-made portable first aid kit – so that when they are out in the middle of the woods, in case of a cut or scrap they will be able to take care of it right there. Or you can make your own with and be sure to put in the items listed here. 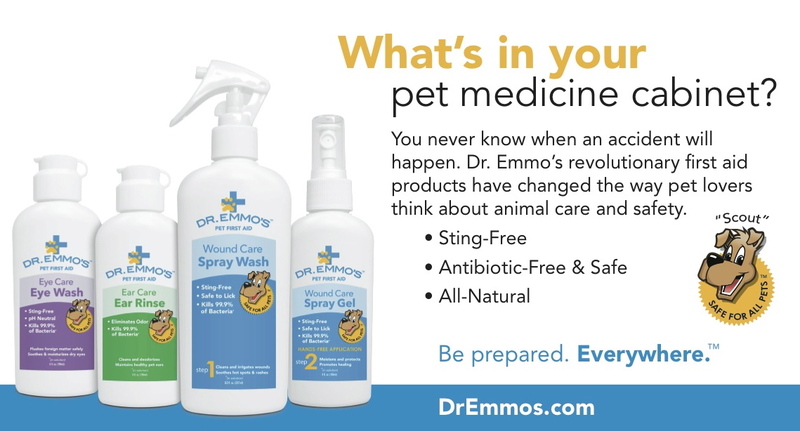 And also a great product to have incase you do have an issue is Dr. Emmo’s Pet First Aid products. I have used both the wound care gel for scraps and cuts on my own Max and just used the eye wash which did wonders for a slight allergy infection he had in his eye. 9. Treats! Don’t forget the treats! It’s such a great house warming gift to bring, (along with some wine for the humans please! ), when you go to a holiday party this year. If you know they are pet owners, they will love getting something for their favorite fur-child too. There are many different holiday designed doggie treats these days to choose from, and they look good enough to eat – so be sure to tell them they are for the dog! 10. Make a donation in their pets name or their name. A fantastic way to show you care, is to make a monetary donation to your favorite pet owners to their favorite animal rescue organization. You can also find out what the animal rescue group needs, make up a donation with those items and go together to drop off the donation. Often times the non-pet owner will get just as big of a gift by doing so. A nice thing to do together, and see the animals in need. And don’t forget to shop your small pet businesses on Saturday, November 30, 2013 for Shop Small Saturday! Get out there an support your local pet businesses! 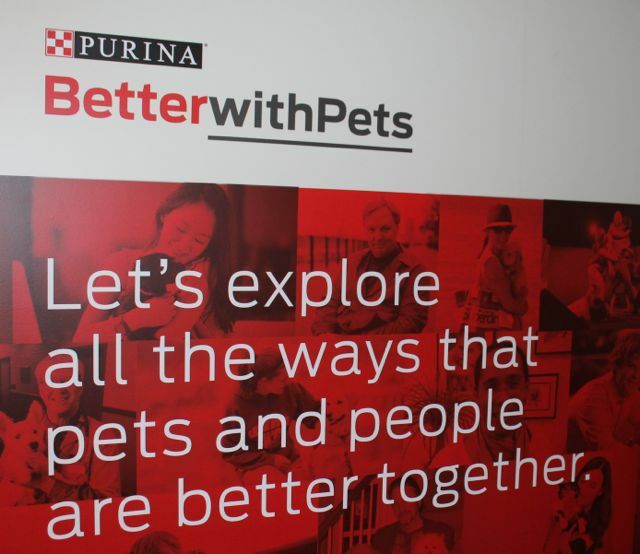 This past Tuesday, November 19, 2013 I had the pleasure of being invited to the day long ‘Better With Pets‘ summit – an invite only event hosted by Purina that had a line up of fantastic speakers in the pet industry. Held at the Florence Guold Hall in New York City, it was a packed house of pet professionals, pet bloggers, pet celebrities and a few furry four legged guests. 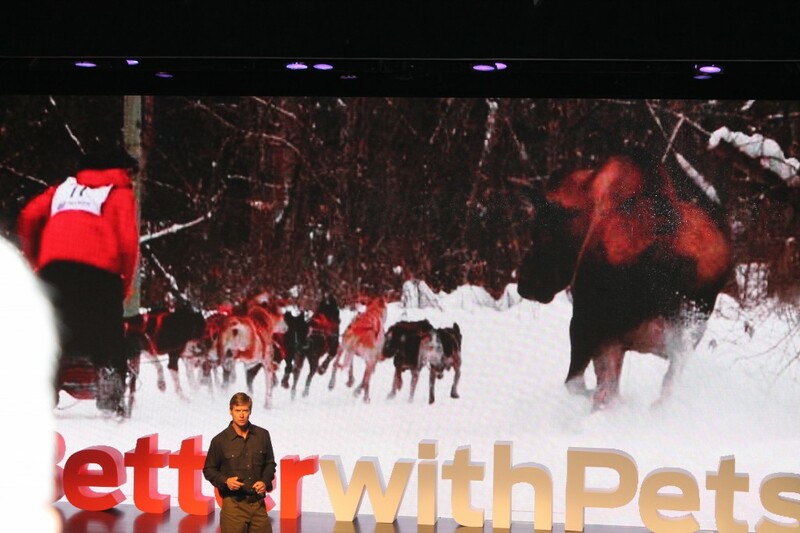 Not knowing what to expect on this first-ever summit, I was pleasantly surprised and loved every minute of it. 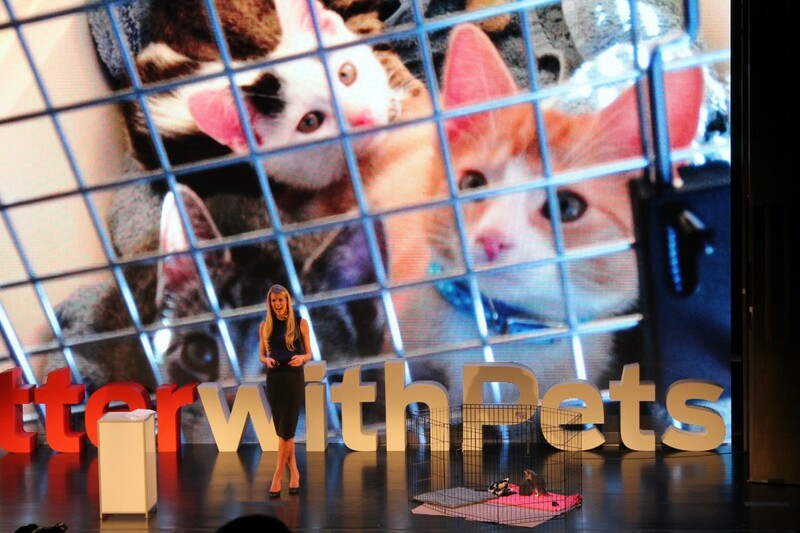 It was unlike any other pet event I have been too, and showcased the dedication, love, passion for pets each speaker (and each person in the audience) has. Admittidly I was a few minutes late getting there, NYC traffic anyone? And how nice to be at an event like this in the city where I didn’t have to travel too far! And upon walking in was suprised to see so many people there. It was great to see my NYC pet pro friends and bloggers from across the country that I see at other events. The entire event was emceed by media legend John Hockenberry – who did just a fantastic job throughout the day. 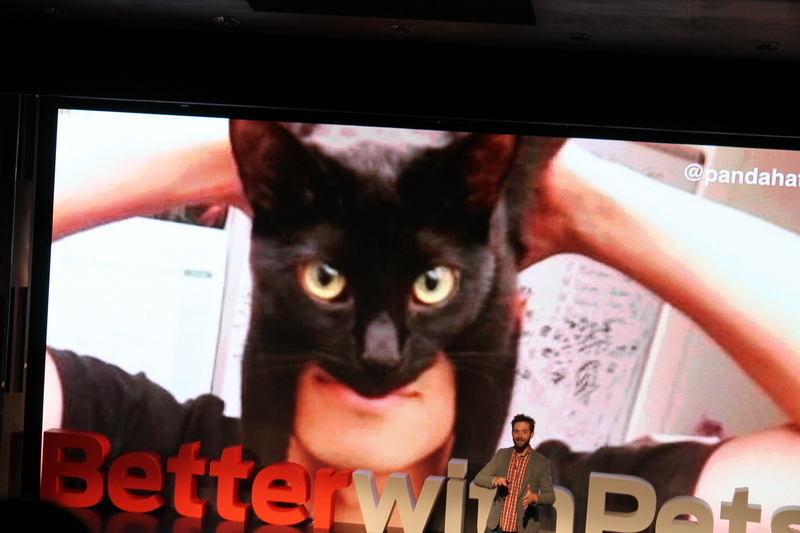 The first speaker was Dr. Brian Hare (above) who spoke about our dog’s amazing cognitive abilities. Throughout the day we heard from speakers like Beth Stern, Dr. Marty Becker, delighted by the musings, video and drawings of Simon Tofield (we laughed until tears were coming down our cheeks!). Mike Rugnetta super fast talking presentation that was funny and informative too. We also heard incredibile stories from Dr. Arleigh Reynolds who won the GCI Open North American Championship sled dog race in Fairbanks, Alaska. He told us how to this day that the most economical way to travel in Alaska is by dog sled and that blueberries in Alaska have the most antioxidents in the world due to the long sun exposure in the summer months there. The day long event was also filled with breaks throughout, lunch and a ‘Dad & Dogs: A co-evolution’ play performed by dancers. 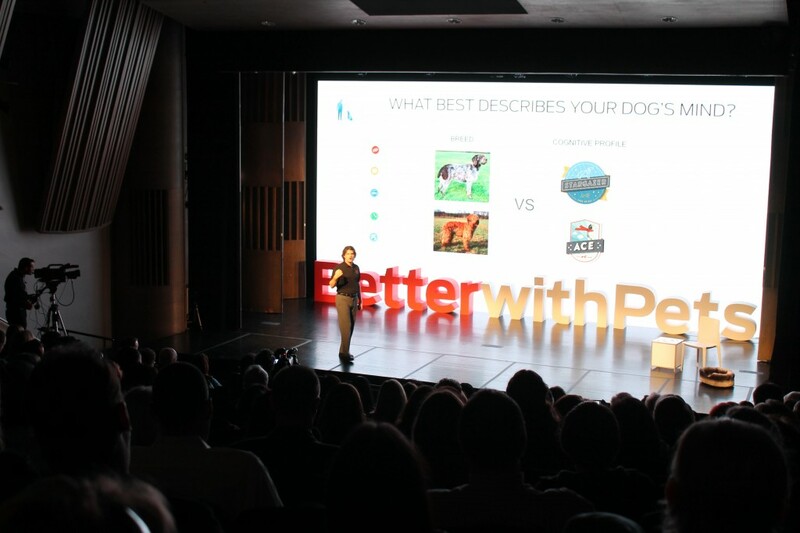 If you missed the event, you are in luck as Purina will be putting the video’s on their website on December 3, 2013 and you can watch each speaker. I really hope they do it again next year, as it was a great day of information, entertainment, networking and lovely to be a part of it. Every time you leave the salon feel beautiful, your hair is amazing to the touch, style is fantastic and you just feel so much better – and now you also have the product from your stylist to use until your next visit to keep your hair feeling luxoruious. Wouldn’t that be great if you had the same product for your dog for inbetween their grooming visit? We all know some of our dogs may not like a bath or visit to a groomer, but we also know how our pups strutt their stuff afterwards too. How cute it is when your pup is prancing around and feeling good after being groomed! Regular grooming is important. 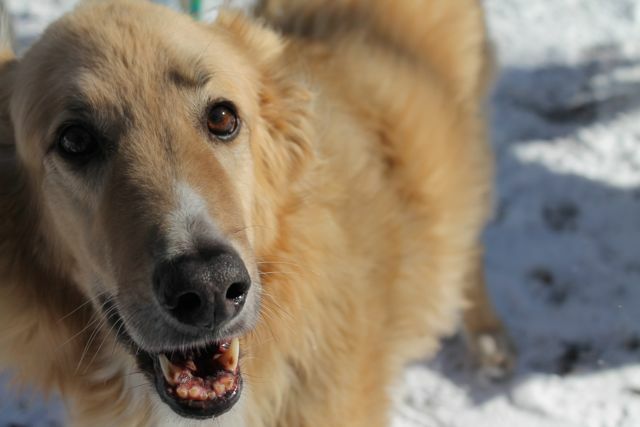 Just like humans, dogs and their owners must understand best hygiene practices to avoid matted fur, ear, teeth, and eye infections, and buildup of dirt and bacteria. Grooming does not have to be a chore! Keeping your dog clean can easily be a pleasant and bonding experience with the right tools and knowledge. The 50-60% of dog owners who allow their dogs to sleep in their beds are especially encouraged to keep their pets clean as compared to dogs who spend the majority of their days outdoors and do not need as much grooming. Sharing couches and other surfaces is a major reason to keep both your dog and your home clean and minimize the risk to lowered or compromised immune systems. One of the easiest things to do daily is to check and clean your dogs eyes. Dog Fashion spa’s gentle cleansing eye pads are perfect for safely disinfecting and gently cleaning around your dog’s eyes. Inspecting your dog’s eyes daily is a great way to examine the health of your dog and to quickly c catch any potential illnesses before they progress. If you notice anything unusual or abnormal about your dog’s eyes, please do not hesitate to consult your veterinary professional. Even if the eyes look bright and healthy, cleaning around them daily with gentle pads instead of potentially scratchy paper towels or tissues goes a long way. Before washing or bathing, always brush your dog’s coat thoroughly to keep unmanageable matting at bay. Trim any large mats but don’t be afraid to consult a grooming professional if you are unsure or feel overwhelmed by any excess knotting. After the coat is properly brushed, use all-natural dog shampoo and always follow with a dog conditioner. Dog Fashion’s signature shampoo & conditioner are simple to use. Our shampoo does not contain harsh ingredients, formulated without sulfate, paraben, synthetic dye, and gmo. It’s special, toxin-free formula is also designed to combat free radicals. After dampening your dog’s coat, thoroughly lather and massage shampoo gently into fur, and rinse off well before repeating with conditioner. When used together, DFspa shampoo and conditioner complement each other for a gorgeous, healthy, and shiny coat. Many groomers only use shampoo. Much like human hair, washing with shampoo only leaves fur dry and more prone to mats and knots. Conditioner is the key to a noticeably healthy shine. It’s important to rinse your dog’s fur clean of product before and after application of both shampoo and conditioner to avoid buildup and to achieve maximum results. It’s actually possible to wash your dog TOO much. 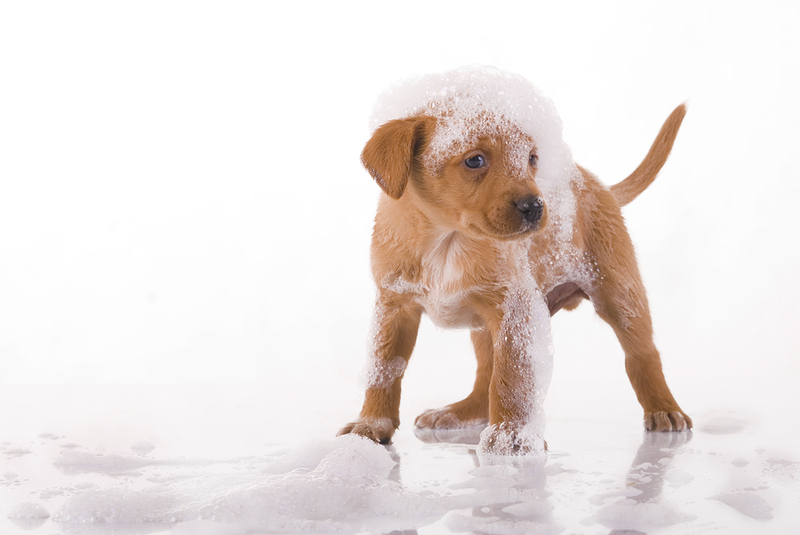 It’s recommended to only bathe your dog once every two weeks, and no more than twice a month. Just like humans, dog’s have essential oils that naturally occur in their fur, much like our skin, and we have to let the body do it’s job! 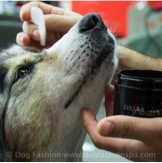 To keep your dog’s coat smelling and feeling fresh in between bathing, use Dog Fashion spa’s coat + skins lotions. Dog Fashion Spa semplice and rilassante lotions gently moisturize and condition the coat while replenishing the essential, naturally-occurring nutrients lost through natural activity and play. While some human dry shampoos and conditioners are heavy and leave our hair feeling oily, Dog Fashion’s lotions are non-greasy and light, infused with flower and plant extracts for natural hydration. Lavender and chamomile are an added bonus, as they are naturally relaxing aromas. Like any spa experience, our products were designed to create a soothing experience mentally and physically. The coat + skin lotions are easily applied. Just massage a small amount into your dog’s fur and brush through to distribute evenly, and it can be doubled as a leave-on conditioner after use of our shampoo. Another way to keep that spa-fresh feeling between grooming sessions is Dog Fashion’s signature fragrances for him and her, maschio and femmina. Each fragrance was designed specifically for male and female dogs and are completely safe to use and non-toxic. Maschio embodies masculinity and relaxed sophistication and can be enjoyed by you and your dog, with universally pleasing notes of lemon, grapefruit, bergamot, lavender, marine accord, amber, and musk. Femmina is a floral bouquet of jasmine, violet, lemon, yang, tiara accord, and musk that is luxurious but not overpowering. To use our signature fragrances, spray on your dog’s withers and away from his or her face.